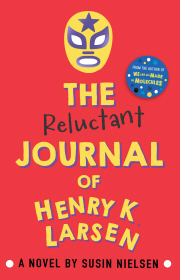 I enjoyed The Reluctant Journal of Henry K Larsen. Henry is suffering after the incident. I won't say too much for fear of spoiling it for others but it really shows the impact events have on the wider family group and how people deal with the fallout. It also has a lot to say about the impact of bullying again not just on the individual but also on the wider family. I really liked Henry and very much enjoyed his story.